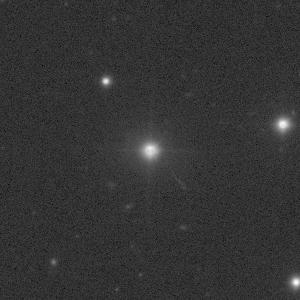 SDSS Image of 3c273 with standard log scaling. 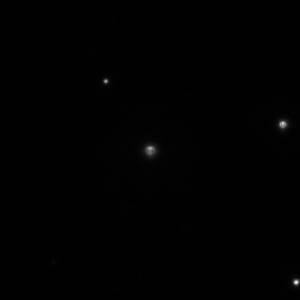 SDSS Image of 3C273 with new LogLog scaling. If you compare an SDSS image versus one for another optical survey like the DSS, there usually appears to be a lot less there. However this is mostly an artifact of the scaling of images. The SDSS images are derived from CCDs rather than photographic plates. You can get something much closer to the plate images if you do a log(log(b)) scaling of the image. Our test version of SkyView now has a loglog scaling option. We first multiply the each pixel so that that smallest positive value has the value 1.01. Then we take the log of each pixel in that image, Finally we take the log of that result. The ImageJ log function that we use returns a value of 0 for inputs of 0 or less, so those values all end up at 0. If you want to really bring out detail in the image you’ll soon be able to try scaling=loglog. The two images that start the post show the difference between Log and LogLog scaling. In the loglog image, the jet is plainly visible while it’s completly missing in the first image. This entry was posted in Discussion and tagged Log, Scaling, SDSS. Bookmark the permalink. RA 42.36587822 and DEC -36.24020928……I am trying to find what galaxy my star is in. The star at the coordinates you specify is in our Milky Way galaxy. Check out our blog entry http://skyview.gsfc.nasa.gov/blog/index.php/2012/12/04/can-you-help-me-find-a-star/ to find out how to display an image of the star in SkyView. Links at the end of the post will give you information about where the star is located in the night sky.